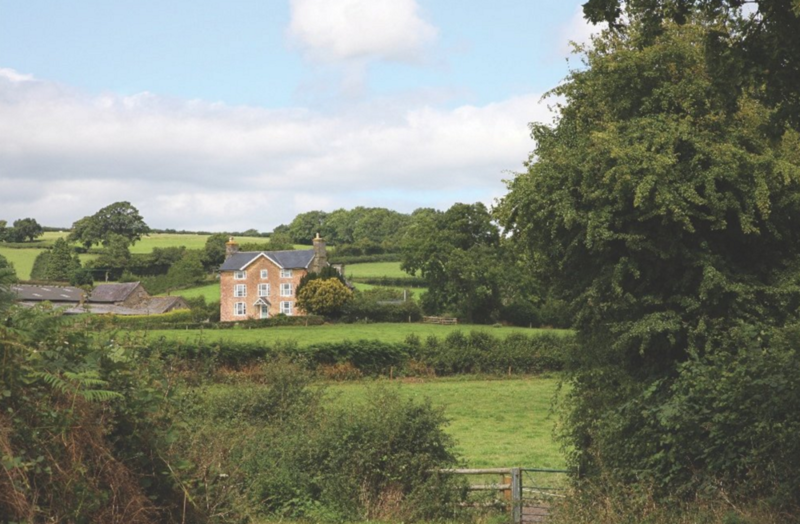 Generously sized farmhouse with acres of land including an indoor barn tennis court plus a large dining and sitting room. 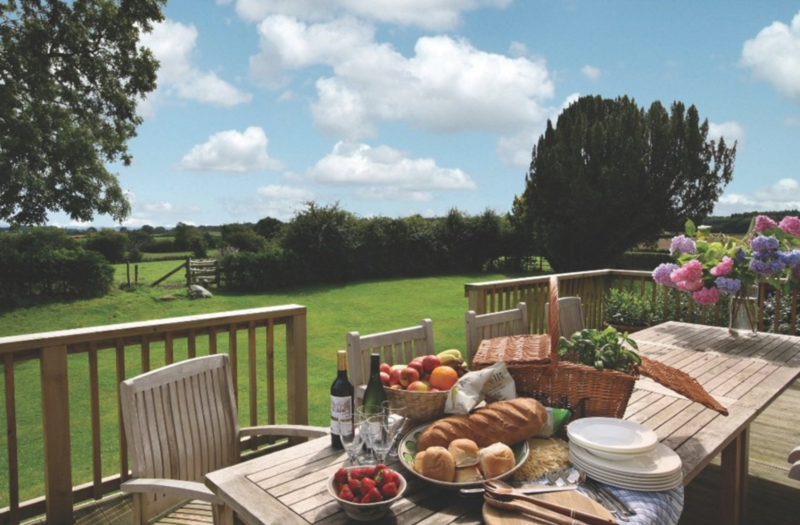 This beautiful holiday rental farmhouse is available for short breaks and weekend escapes. It offers luxury accommodation for up to 17 guests and has stunning views and is totally private. With 7 bedrooms, indoor tennis court and games area, plus table tennis, what more could you want in terms of a perfect place to stay for a celebration or reunion. 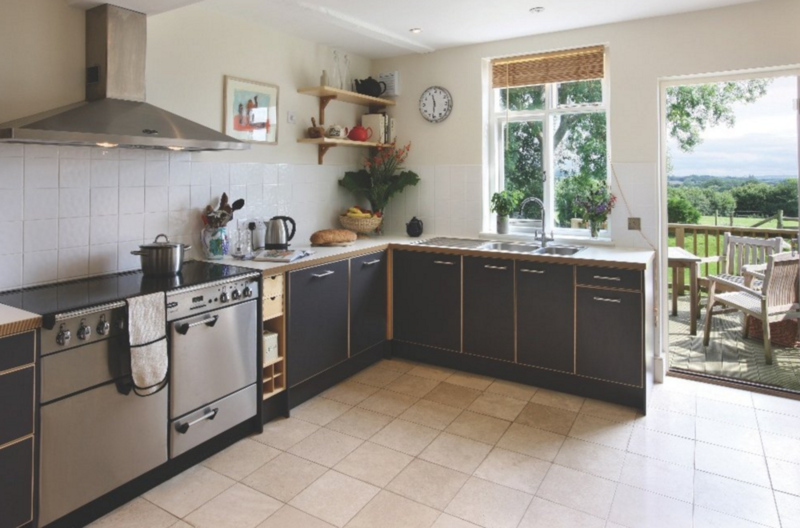 The house is fully equipped to cater for house parties for all age groups. The owners have a list of local caterers should you wish to celebrate a special occasion. 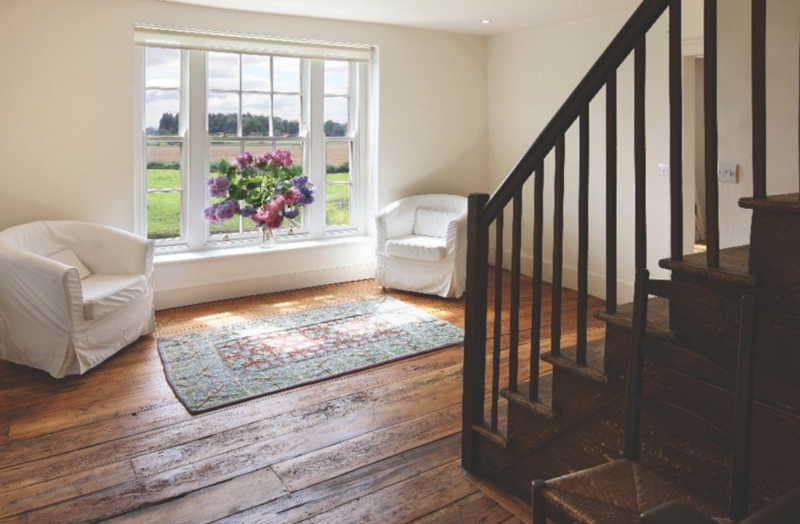 On the ground floor of this luxury property you will find a magnificent drawing room with wood burning stove, second sitting room with wood burning stove, large kitchen with outside door leading to deck with teak table with double doors to formal dining room and open log fire. There is also a cloakroom with WC, utility room and a double bedroom (5’ bed with ensuite shower room and WC). On the first floor there is a double bedroom with 6’ zip and link bed which can be converted to two 3’ single beds on request, with en-suite bathroom with bath and separate shower. A further double bedroom with 6’ zip and link bed which can be converted to two single beds on request and a third double bedroom with 6’ zip and link bed which can be converted to two single beds on request, plus dressing room with single bed and en-suite bathroom with a shower over the bath. There is then another double bedroom with two 3’3” antique cane beds a family bathroom with separate shower, a single bedroom (with space for travel cot). On the second floor there is a double bedroom with 6’ zip and link bed which can be converted to two single beds on request, a large bedroom with two 3’ single beds with full size pull-out beds which can be used as 4 bed dormitory, or twin room or double room and another good sized family bathroom. 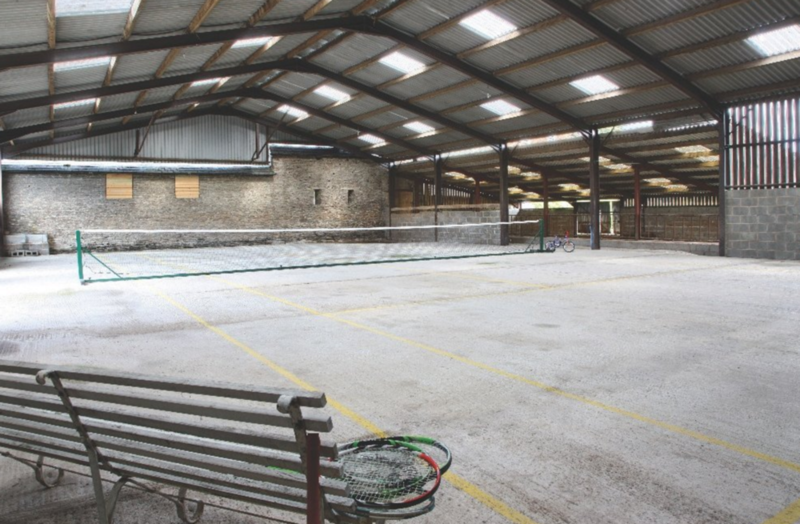 The original farm buildings have also been converted to house the indoor tennis court and games rooms. 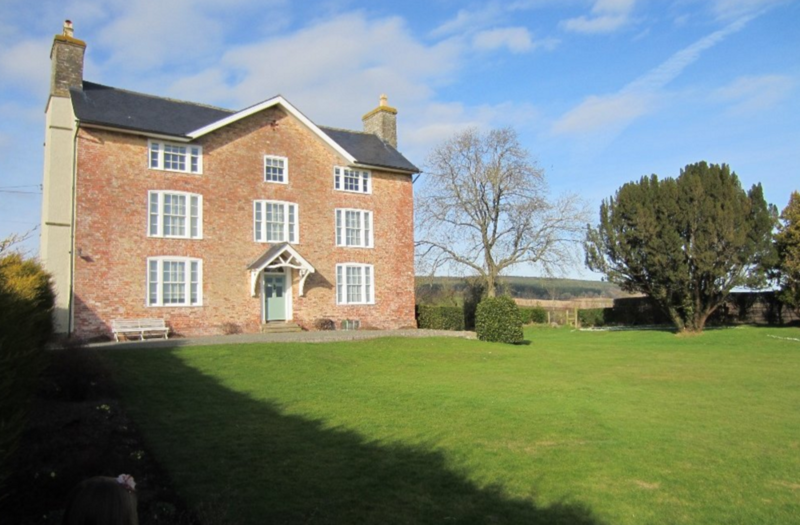 Situated in the heart of Herefordshire, this self catering house is located in an area with unbeatable local walking (Offa’s Dyke and Mortimer Trail nearby), the Michelin-starred pub ‘The Stagg’ in the village (an easy walk from the house). There is a golf course at Kington for golf enthusiasts. There are also places to visit such as Ludlow, Hay-on-Wye and some National Trust properties all within easy reach.